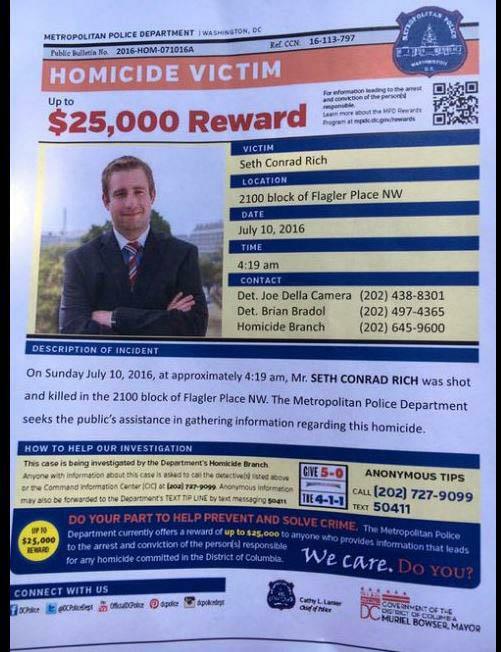 On July 10, 2016, 27 year-old Democratic staffer Seth Conrad Rich was murdered in Washington DC about a block from his apartment. The killer or killers took nothing from their victim, leaving behind his wallet, watch and phone. 2.) Seth’s death does not appear to be a robbery gone bad. 3.) Seth’s death was more likely committed by a hired killer or serial murderer. 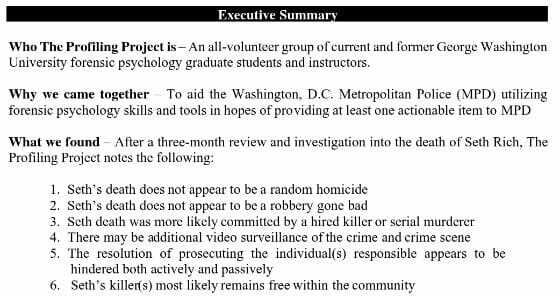 The murder investigation of Seth Rich is still open. There are no leads. It has now been a year since Seth Rich was murdered.